A certified organic, classic Ceylon tea. Light liquoring with hints of delicate floral notes. A lovely tea for afternoon tea parties. Cup Characteristics: A classic Ceylon tea. Light liquoring with hints of delicate floral notes. Lovely tea for afternoon tea parties. 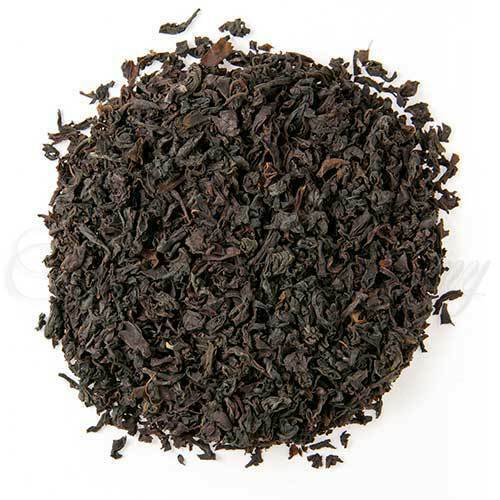 Koslande is one of the estates that we use in this Ceylon organic tea. In Sri Lanka terms it is a medium sized tea estate covering 160 hectares (406 acres). It is situated in the Haputale Mountain Range in the region of Uva. Uva and Nuwara Eliya are Sri Lanka’s highest elevation tea growing regions and are world renown for some of the finest teas in the world – especially when they are at their seasonal best (in Koslande’s case this is August). The total annual crop (all leaf grades) is only 100 Tonnes of tea (this is enough to make about 4,000,000 cups of tea). The estate is covered by 3 different organic certifying bodies – IMO of Switzerland, Organic Farmers and Growers of the UK and Nat. Assoc. of Sustainable Agriculture of Australia.